Today, the internet is filled with great online casinos, so there is no need to patronize bad ones or casinos that simply don’t suit your preferences. Below, we have listed a few examples of things that can be good to keep in mind when you select among the many available online casinos. Some online casinos only have games from one or two game developers, while others include games from a long row of large and big game developers. It’s good to check this out in advance so you know what you options will be once you become a member. Today, it’s rather difficult to find an online casino that doesn’t offer browser play. Some casino sites offers both browser play and the option of downloading a casino client, while casino sites where you must download a casino client before you can start playing have become rare. Even though browser play is the norm today, downloading and installing a casino client on your computer does come with certain advantages. Once you have installed the client, much less data must be sent between your computer and the gaming server when you play, since so many things are already stored on your computer – graphics, animations, sound effects, etc. This means that you free up bandwidth, which is great if you are on a slow internet connection or want to use your bandwidth for other stuff while you play, e.g. streaming music or TV-shows, or downloading large files. If you want to download a casino client, make sure it has been adapted for your computer’s operative system. It is quite common to find casino clients that only work with Windows. This is an important factor that many players overlook. 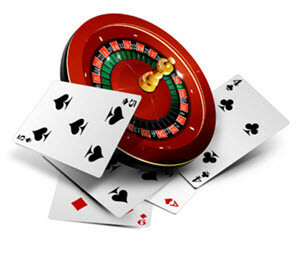 The sign-up with an online casino, only to find out that the available methods for deposits and withdrawals are methods that they rather not use. Or, they find out that hefty fees are charged for using their favorite transaction methods. Always check the transaction fees for both deposits and withdrawals before you sign up with an online casino. It is common for online casinos to limit how many free or low-fee withdrawals you can do in week or in a month, so if you known that you tend to make frequent withdrawals, check for this as well. If you’re not comfortable with sharing credit card information online, make sure other options are permitted, e.g. transfers via internet bank or deposits through Paysafecards purchased offline. A popular choice among today’s online gamblers is to sign-up with a large and reputable e-payment service such as PayPal, Neteller or Skrill. You’ll share your credit card information with the e-payment service, but not with each and every new online casino that you wish to try out. Do they accept U.S. players? It has become common for gambling sites to block U.S. players to prevent having problems with U.S. authorities. For the same reasons, many non U.S. players stay away from gambling sites that permit U.S. players, since players don’t want to have money sitting in an account that might be frozen by U.S. authorities pending an investigation. It is easy to develop tunnel vision when you see an offer for a huge welcome bonus, but your long term happiness with an online casino will largely depend on other factors so don’t get carried away by the promise of “free” $$. Is this an overall great casino, or are you only interested in signing up because of the welcome bonus offer? Are you really prepared to share personal information and make a deposit into a less than stellar casino? What are the conditions of the welcome bonus? Wager requirements? What happens if you want to make a withdrawal before you have fulfilled the wager requirement? Are wagers on certain games not counted against the wager requirement, or only partly counted? What kind of perks are offered for current members? Any online casino can offer a huge welcome bonus, but how does this casino take care of its current members? What kind of bonus offers and perks can you expect once the welcome package has been used up?